Basement windows are installed to add beautiful, natural light into your basement -- making it feel less like a dungeon and more like an extension of the living space in your home. If those windows are ugly, rusted, drafty, or are providing a view of a trash-filled, rusted window well, then they're not doing their job. Your local Basement Systems Dealer can advise you on what you'd need to do to upgrade those windows to add beauty, value, and energy efficiency to your home. For more information on what we can do for you, contact us today to schedule a free, no-obligation basement waterproofing quote! Basement Systems has been providing high-quality basement window products to homeowners across the United States, Canada, and the United Kingdom since 1987, and we have some great solutions for you. Our basement window system features energy efficient glass and a vinyl frame that will never rust, rot, corrode, or need paint. Its bright white vinyl frame provides superior insular advantages over steel window frames, with its double thermopaned, Low-E glass is ideal for energy efficiency purposes. Our EverLast™ Basement Windows can also be easily removed from their frame, allowing for ease of cleaning and maintenance, as well as providing an opening that allows you to pass long objects through. Typical basement window wells are designed with a steel frame, with a design that's open at the top to the elements that allows the window well to fill with dirt, leaves, debris, rain, and snow. 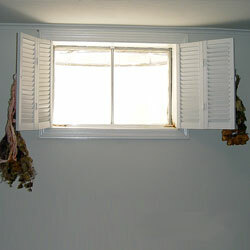 Eventually, the metal of these window wells will corrode and create an eyesore. The SunHouse™ Window Well System is created with a durable vinyl design that does not rust or break down when exposed to the elements. The well is sloped to reflect sunlight through the windows, maximizing the natural light in your basement. 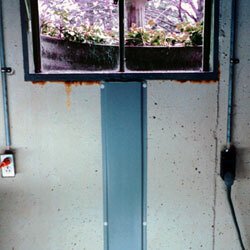 Meanwhile, a clear, durable plastic cover protects the window well from sources of water and debris. Finished basements require the installation of one or more egress windows within the space to meet local code requirements. 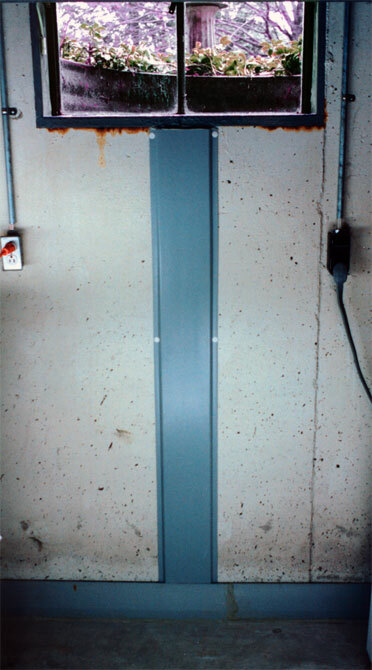 These egress windows are designed to allow an escape outlet, should an emergency arise. Along with the large egress window, you will need a large window well outside that includes steps to allow easy evacuation. 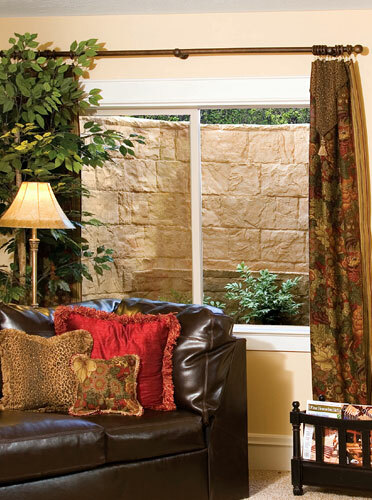 The RockWell™ Egress Window Well features a one-piece durable design that emulates natural stone for a warm appeal. 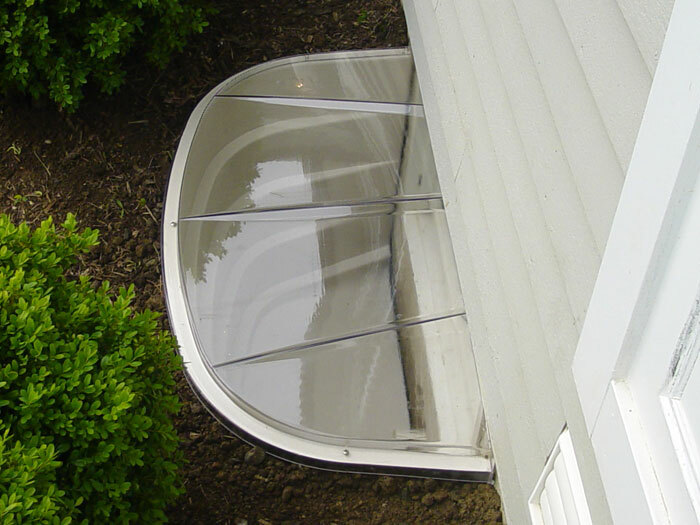 A durable clear cover keeps out water, debris, and cold winter Windows, while its rugged design is able to withstand UV light and extreme temperatures. Water can find its way into your home through many different area -- including through your basement windows. This is especially true if the basement window wells are prone to filling with water, or if water is pooling directly outside of the windows. The WellDuct® system is designed to collect this water before it enters your home, keeping it away from your walls and wall insulation. A plastic channel redirects the water to either a drywell we'd construct in your basement floor, or to your perimeter drainage system. 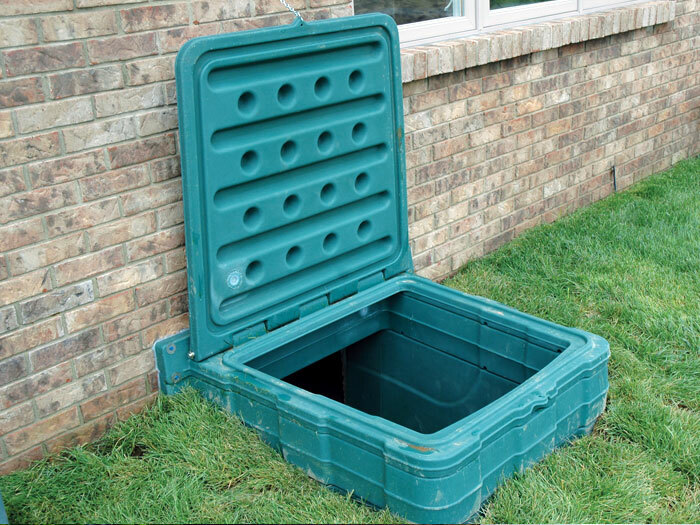 The EverLast™ Access Well is our answer to those old, corroded crawl space access wells that create a landscaping eyesore for many homeowners. 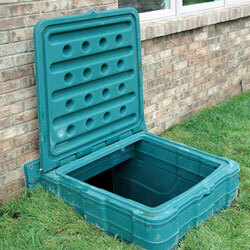 Each access well is designed with rugged, heavy gauge polyethylene, and will not show wear and tear from the elements. For drainage purposes, a thick bed of thick stone is poured into the bottom. Each EverLast™ Access Well is 40" wide and has a customizable depth of 21", 36⅜", and 51 ¾ " depths. This allows for full customization for your home's needs, nicely finishing off your home's landscaping. 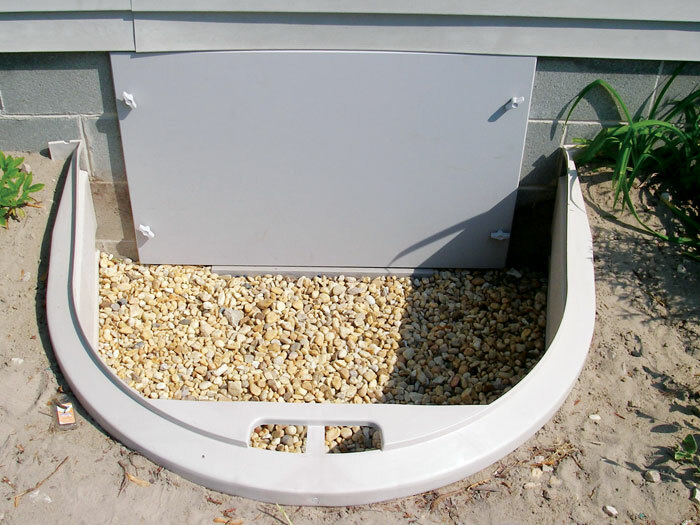 For a secure, attractive alternative to our EverLast™ Access Well, our dealers recommend the Turtl Crawl Space Access Well System. 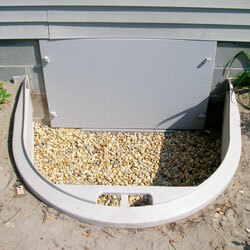 The Turtl™ is a combination crawl space access well and entryway door. It features a durable, long-lasting design, as well as a secure, lockable device for added protection for you and your family. The Turtl™ is available in three stylish colors -- green, brown, and beige -- to match any home and landscaping theme. 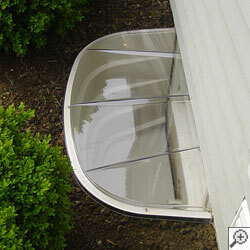 We Can Upgrade Your Basement Windows! 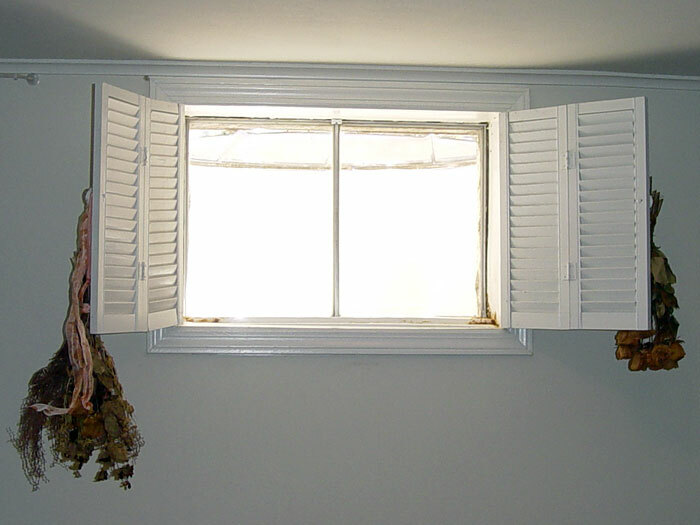 Our dealers at Basement Systems have everything you need to get rid of those old, rusty windows and window wells and replace them with a durable, long-lasting system. We can measure your windows and provide a cost quote for you at no cost or obligation! 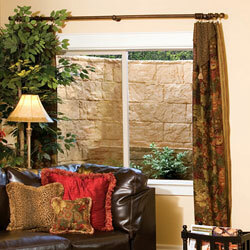 To schedule a basement window system quote with your locally owned and operated dealer, call or e-mail us today! Basement Systems Dealers are proud to serve throughout the United States, Canada, and the United Kingdom. There's a dealer in your neighborhood waiting to serve you!